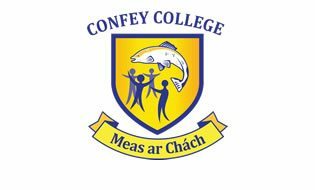 Confey College, Leixlip, Co. Kildare is now enrolling for the academic year 2019-2020. Comprehensive curriculum for the Leaving Certificate and Junior Certificate programmes, including Transition Year, Leaving Certificate Applied, and Leaving Certificate Vocational Programme. Excellent record of academic achievement. Modern facilities and well-equipped classrooms. Structured personal & social development programmes. Parents and prospective students are invited to view the college's facilities on Wednesday 14th November from 7:30 pm until 8:30 pm. Visitors will also have the opportunity to meet with school management, students and members of our teaching staff.